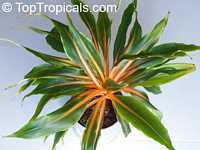 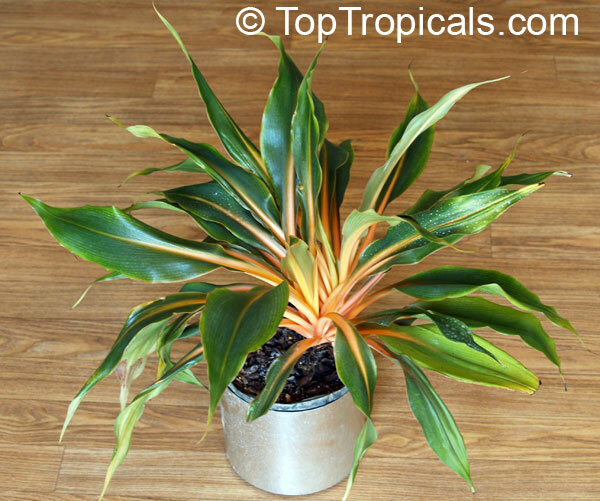 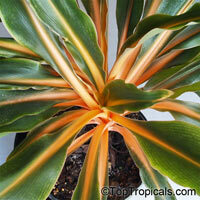 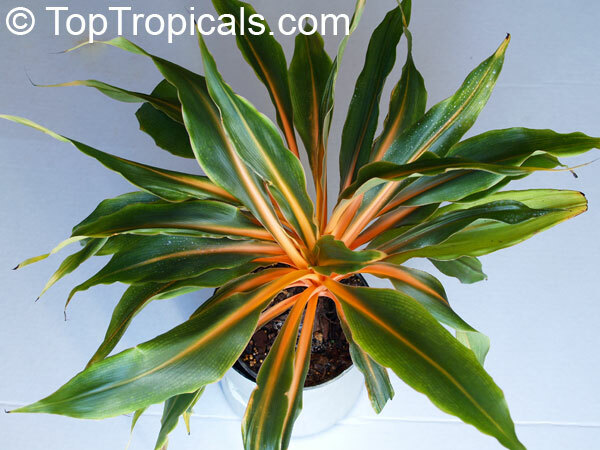 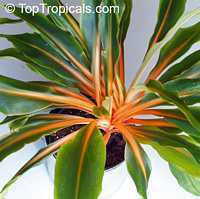 A beautiful rosette of shiny dark green pointed leaves with a heart of glowing orange. Dark green foliage grows from a central crown with basal offshoots. 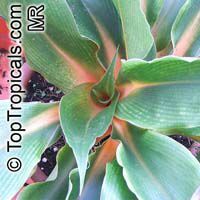 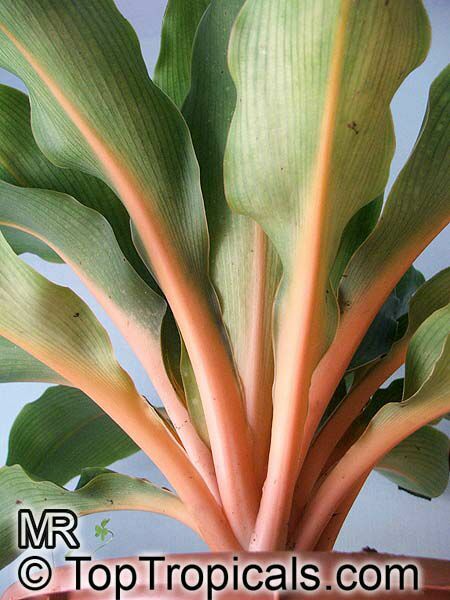 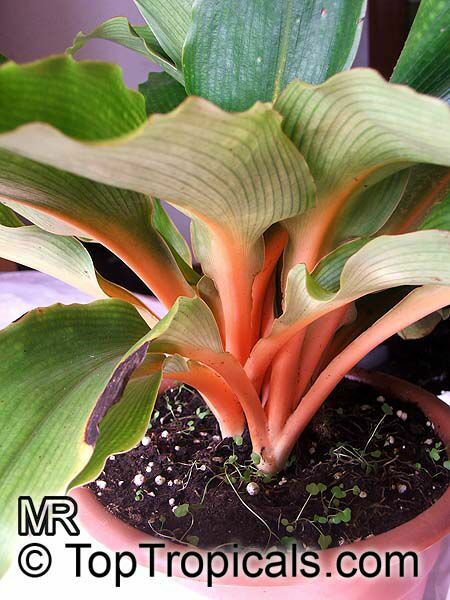 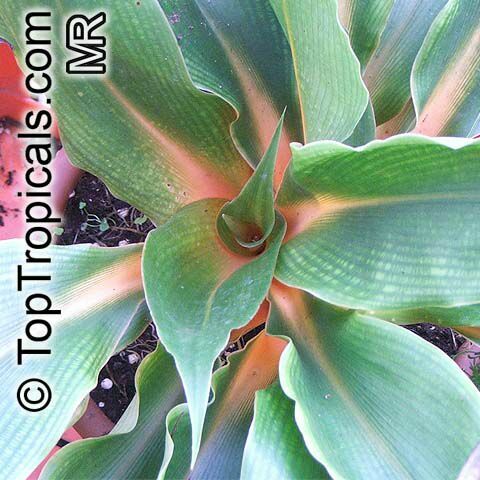 Rich colors in pink or orange form from the base of the leaf up through the midrib. 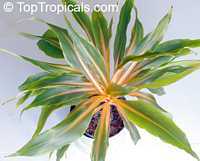 It is a colorful relative to the well-known houseplant favorite, the Spider Plant. 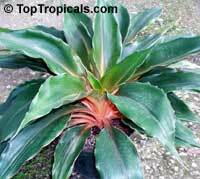 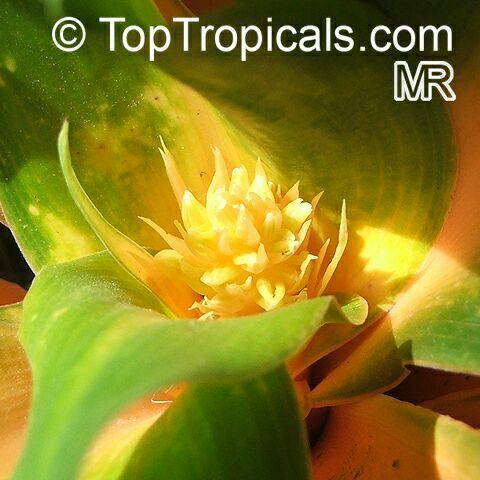 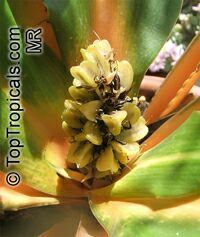 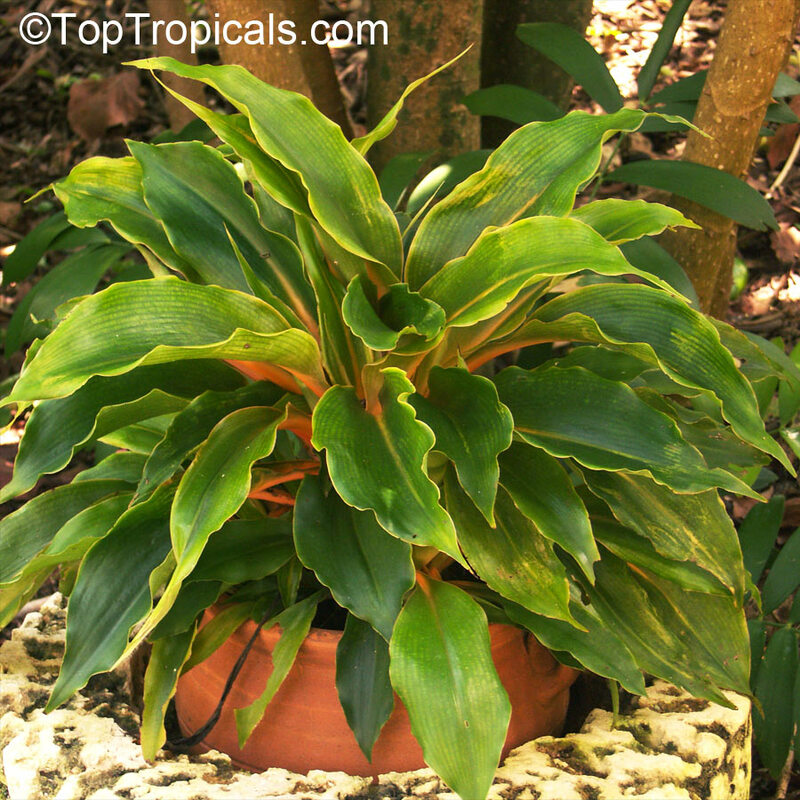 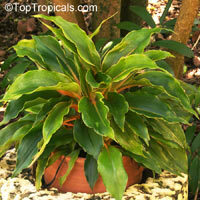 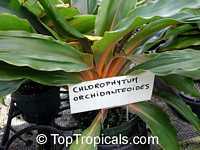 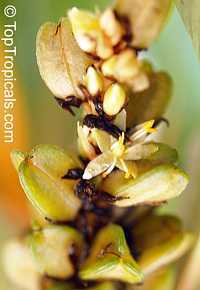 May be used as a potted plant, in mixed containers, or as a specimen shrub in the tropical landscape. 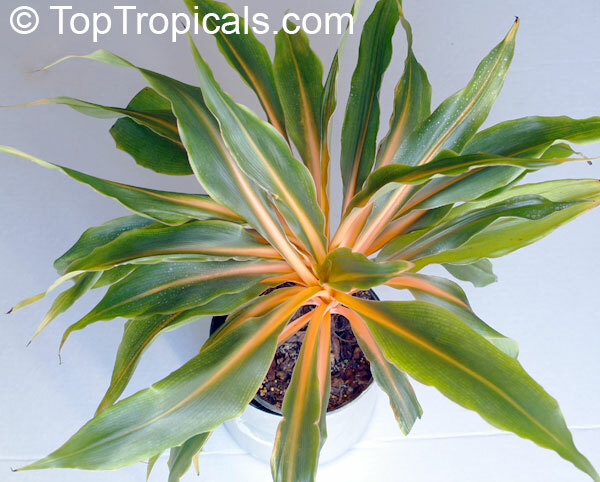 Grows under the same tolerances indoors as a spider plant. For brightest colors, remove basal sprouts as they appear to avoid basal crowding which will hide the colored growth. 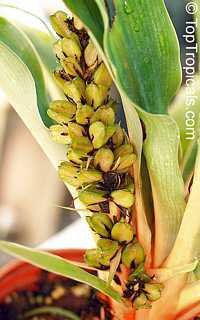 It seeds itself prolifically. 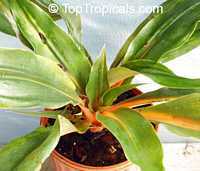 Does not like full sun, let get fairly dry before watering.